Highlights of New Zealand’s 14-0 win against France in the women’s Test in Toulon. 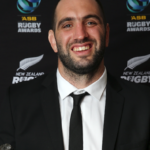 What the winners had to say after the New Zealand Rugby Awards ceremony. 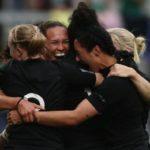 New Zealand were crowned world champions after beating title-holders England 41-32 in the Women’s World Cup final in Belfast on Saturday. MARIETTE ADAMS reports. 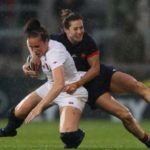 England will face the Black Ferns in the World Cup final after claiming a hard-fought 20-3 win over France in Belfast on Tuesday. 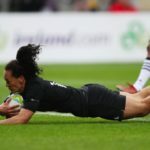 Portia Woodman scored four tries as the Black Ferns beat the USA 45-12 in Belfast on Tuesday to book their place in the Women’s World Cup final. 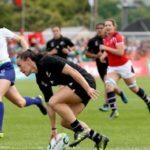 Portia Woodman scored eight tries as New Zealand hammered Hong Kong 121-0, while there were also wins for Canada, England, the USA, Ireland and France on day two of the Women’s World Cup in Dublin.